Jeremy Renner is enjoying his first Academy Award nomination with Kathryn Bigelow’s The Hurt Locker. 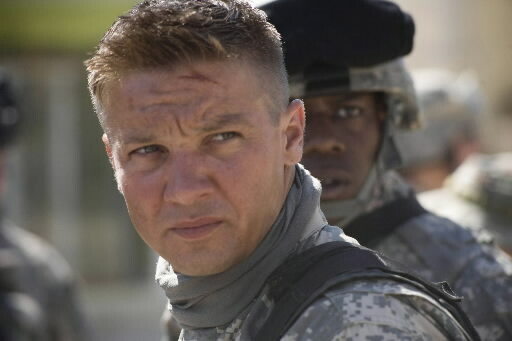 Renner plays Sergeant First Class William James who is the slightly reckless leader of an EOD (Explosive Ordnance Disposal) unit, and follows him and his crew who are winding down their last days of their tour in Iraq. This tense drama details the trials and tribulations of a bomb disposal unit working in the war torn Iraq. Read our review of The Hurt Locker here. Do you think Jeremy Renner will win Best Actor? Let us know in the comments!